It is a big honor for us to be played in one show “Neoprog Monday” together with such great paragons like Marillion, IQ or Twelve Night. Check the link for more information. In that radio show you can hear a roundabout twenty minutes special about Crayon Phase and the album. So if you understand Spanish or if you want to improve it, have a listen in that show. This time “Moments” was played from our album “Within My Recollection” on “Somewhere Between Sunrise & Sunset” Radio Show, USA. We got a very nice feedback for that, thank you very much! For all of our fans in Hagen (Germany) I can proudly tell you that our album can also be found at Saturn. So if you are interesting in our music, take the chance and buy it physically in that store. 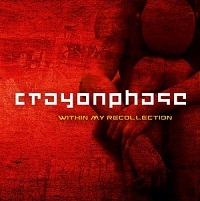 Crayon Phase today on “Somewhere Between Sunrise & Sunset ” show – the Progressive Rock radio show in Cleveland, USA. Hope you will join the prog-party with other great prog participiants in starting at 10PM (EST), on the dial at 88.3FM locally or online live from anywhere in the world at http://www.wbwc.com.